Don't wait to grab this Rare and Amazing opportunity to live in one of the best lots in the highly sought after Avalon Point neighborhood of Torrey Highlands! This exquisite 5 bed, 4.5 bath home has been highly upgraded and immaculately maintained. Remodeled just 4 years ago to add a huge loft and improve the downstairs living area, you'll be wowed by the wide open floor plan. 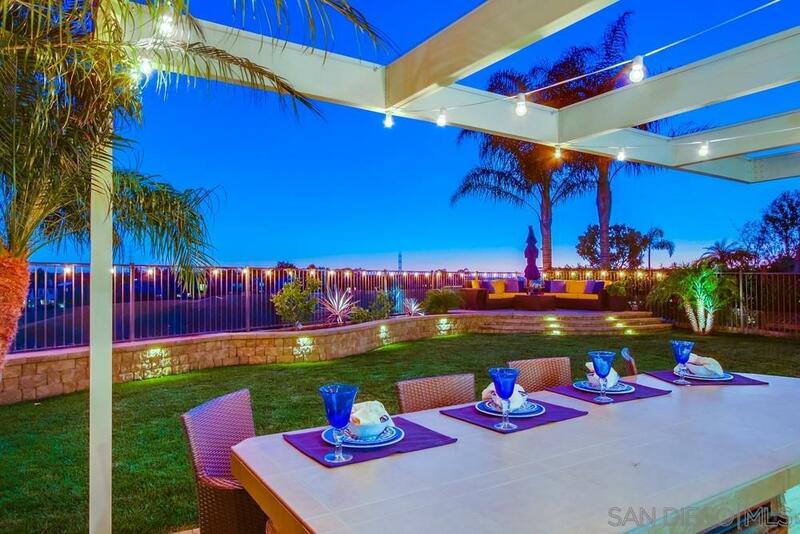 Please submit all offers to VIP@SanDiegoExperts.com. Owner is licensed real estate agent. Solar is fully owned., Don't wait to grab this Rare and Amazing opportunity to live in one of the best lots in the highly sought after Avalon Point neighborhood of Torrey Highlands! This exquisite 5 bed, 4.5 bath home has been highly upgraded and immaculately maintained. Remodeled just 4 years ago to add a huge loft and improve the downstairs living area, you'll be wowed by the wide open floor plan that's flooded with natural light through over-sized windows and doors. This beautiful home offers a large private downstairs bedroom/office. Newly landscaped backyard with unobstructed views that go on forever! A remodeled kitchen with new cabinets and new upgraded appliances. Custom built cabinetry throughout the house. Located at the end of a quiet cul-de-sac in a beautiful family friendly neighborhood. All of this and much, much more!! Rich travertine flooring flows throughout the first floor seamlessly connecting each area. The spacious dining room and living room provide great options for entertaining, dinner parties and more. The private patio space has been newly landscaped and opens the downstairs to true indoor/outdoor living! The beautiful chef's kitchen makes meal prep a breeze with big open countertop spaces, a large center prep island, walk in pantry, and seemingly endless cabinets and storage. Beautiful white quartz countertops, white cabinets, and new stainless steel appliances! You'll fall in love with the custom Great Room. The only one like it in the neighborhood, this custom remodel upgrade creates an amazing space that connects seamlessly the entire downstairs. This bright, sunny great room is surrounded by multiple windows, features custom built-in cabinets, and a gas burning fireplace. This is the perfect space to relax with friends, catch up with family, or host a movie night. From here, step out to the stunning backyard! This beautiful private oasis offers a paved patio area with plenty of room for outdoor furniture and an open area to play. A built in BBQ/bar area makes it easy to cook up the perfect meal while entertaining friends. Sit under the stars at night under either the retractable canvas patio cover or the raised sitting area and enjoy the warm summer nights. The grassy area is perfect for children to run and play. With no neighbors behind, this south facing yard offers year round sunshine and privacy! The HUGE Master Retreat is surrounded by large windows providing warm, natural light and doors that open to a private deck with incredible views morning and night! The Master Bathroom features separate dual sink vanities, a large oval soaking tub and spacious spa-like shower! The large walk in closet allows for extra storage, organization and plenty of space! Upstairs also features 3 additional bedrooms, one with its own personal full bathroom and mini walk in closet. Enjoy a second full bathroom to share and a laundry room with built in cabinet storage, sink and LG W/D. This amazing home also features a large 3 car garage and solar that is owned! Lastly, don't forget about Location, Location, Location! With this home you just can't beat it. Located in the Award-winning Poway Unified School district, your schools include Willow Grove Elementary or Adobe Bluffs Elementary with their amazing Chinese Dual Language Immersion Program, Black Mountain Middle, and Westview High schools. Just a couple minutes away from CA-56, you're close to both the I5 on the coast and I15. You're within 2 miles of most services you need such as gyms, groceries, gas, and your local coffee shop. 125 restaurants within 5 miles gives you endless cuisine options. Easy access to parks, including the Los Penasquitos Preserve Area for hiking and biking and Torrey Pines State Beach. With the famous San Diego climate, you will love being an easy drive to all coastal beaches or the local hills and mountains. This wonderful dream home has everything you've been looking for. Don't miss it! Brought to you by the Butler Gore Realty Group.